We can provide a selection of bespoke samples to match your requirements. We can provide individual samples from our very own colour palettes. Please contact us with your requirements. The showroom boards are made so the finials are easily accessible. Depending on your space available we can help create a display unique for yourself and your showroom. Finial samples are also available on loan. Consists - twenty standard paint and wooden finishes. However you will receive £20.00 credit on your account. Consists - twenty metallic paint and dutch metal finishes. 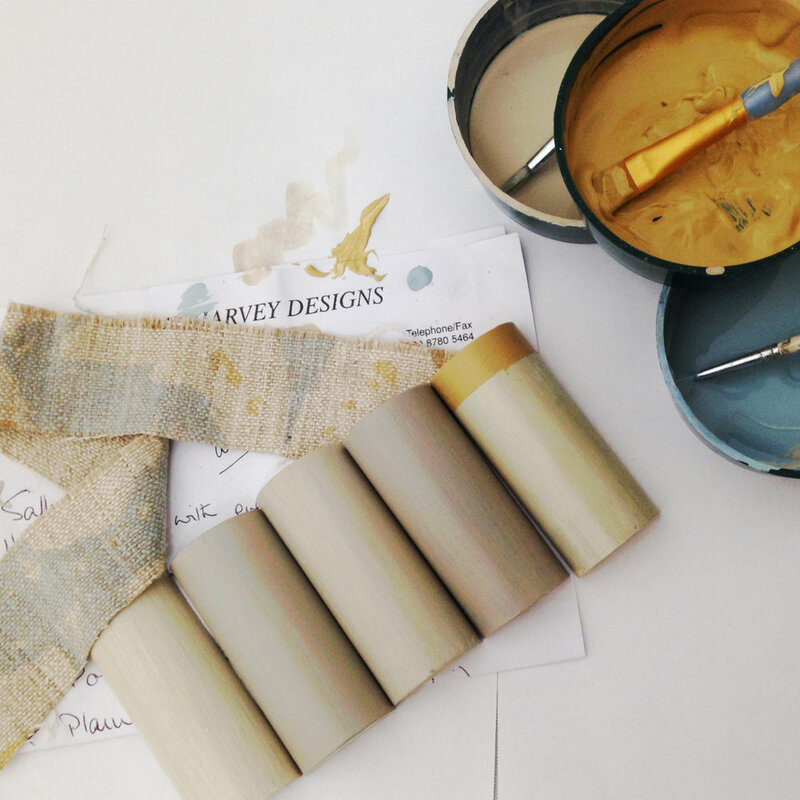 We can piece together an online mood board with your colour and finial options. If you provide us with as much detail of what else is in the room such as - the fabric, wallpaper, wall colour, metal work, colour of the upholstery or the wood work we can create an accurate curtain pole design to complement your room.